Mad Hatter Designs: I'm ALIVE! But, I am alive and with a new obsession with Supernatural, better art and a YouTube channel! The channel link is this smiley face: :) and it's a new gaming channel I've been very excited about starting. Here's a random drawing to say hello again and how are you all doing after all this time. 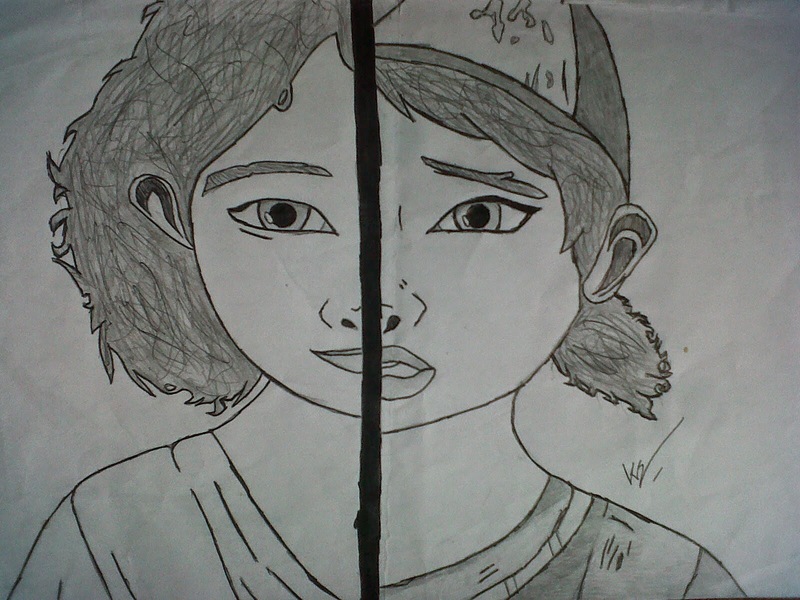 Clementine from Season 1 and 2 of the Walking Dead.